The following are definitions of terms used in the Project Approach. An object or item collected by the participants that is related to the project topic (e.g., a sling or stethoscope in a hospital project). A variety of planned activities during the final phase of a project. For example, children may include a presentation to parents or to other classes describing the project in which they share their findings and documentation, or they may create a final representation or construction for public display. Habits of mind as distinguished, or distinct from, knowledge and skills, which may include such intellectual dispositions as the disposition to make sense of experience; to theorize, analyze, hypothesize, predict, persist in seeking and sharing information and solutions to problems; and to speculate about cause-effect relationships. Processes of keeping records and samples of children’s work at different stages of completion that reveal or indicate children’s experiences during the project and their increasing competence and learning. Samples of children’s work used to document their experiences during the project and their growth are also referred to as documentation and may include observations made by the participants, children’s self-reflections, individual or group products, portfolio items, or narratives. A person knowledgeable about the topic of the project who can be interviewed by the children. A journey to a specific field site related to the topic being investigated in the project. The processes of collecting information to answer the questions the children generated in Phase 1. Fieldwork is conducted during the second phase of a project. Questions about the topic generated by the children to help them obtain answers to the questions that are the basis of their investigation. Interviews are conducted by the children, and interviewees might be visiting experts, parents, or others whose views are needed to answer the children’s questions. Drawings and sketches based on firsthand observations of actual objects or locations under investigation that serve as representations or data related to the topic being studied. The first phase of a project that includes coming to agreement on the general topic to be investigated; summarizing, representing, or recording what the children know or think about the topic; revisiting their past experiences related to the topic; formulating the questions to be answered; and making predictions of what the answers might be and where the necessary information can be obtained. The period when the children are collecting the data they need to answer the questions developed in Phase 1. It includes site visits, interviewing relevant experts, conducting surveys, distributing questionnaires, and other ways of gathering and representing pertinent data. A variety of media are often used by children to represent and report their growing knowledge and understandings of the topic through art, model making, music, play, and verbal expression. 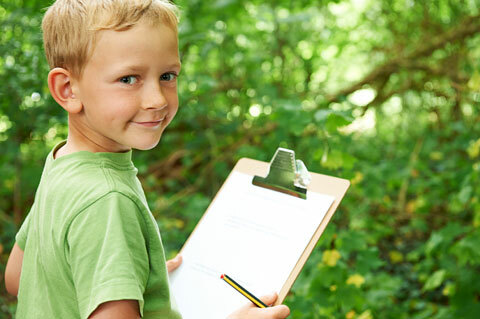 The final phase of a project, during which the children and teachers examine and reflect upon what they have found out from their investigation, and plan and conduct reports of the project for others to hear about and examine. A culminating event is often the conclusion of Phase 3. A process of discovering or deducing new relationships among things observed or sensed employed by all people at all levels of maturity. A method involving clearly defining the problem confronted, hypothesizing solutions, and testing of the hypotheses, until evidence warrants rejection or acceptance of the solution. For example, problem solving can include overcoming difficulties that children encounter when creating representations of what they have observed. An extended, firsthand, in-depth investigation of a topic undertaken by a class, a group of children, or an individual child in an early childhood classroom or at home. Projects involve young children in conducting child-initiated research on phenomena and events worth learning about in their own environments. 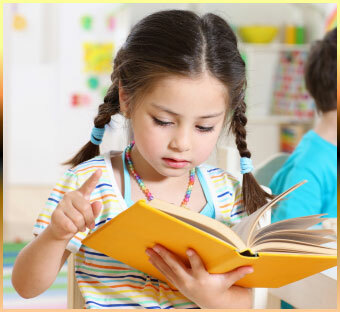 A method of teaching in which an in-depth study of a particular topic is conducted by a child or a group of children. The Project Approach is incorporated into the curriculum but does not always constitute the entire curriculum. A shelf, table, or section of the room where objects, books, and other resources related to the project topic and significant events in their joint investigation are made accessible for children to study. Ideally, the displays reflect the story of the project. A book that tells the story of children’s in-depth exploration of the project topic. It often includes a narrative of the project, photos, children’s work, and both children’s and teachers’ reflections. The book may be designed to inform a variety of audiences, including the children themselves. Planned visits to sites that can be sources of information to answer the questions guiding the investigation. A graphic representation of a topic and related subtopics. A web may be made by a teacher to anticipate what can be learned about the topic and used in planning the project (anticipatory web). A web may also be made in discussion with the children. This web can include what they already know or think about the topic as well as what they want to investigate.